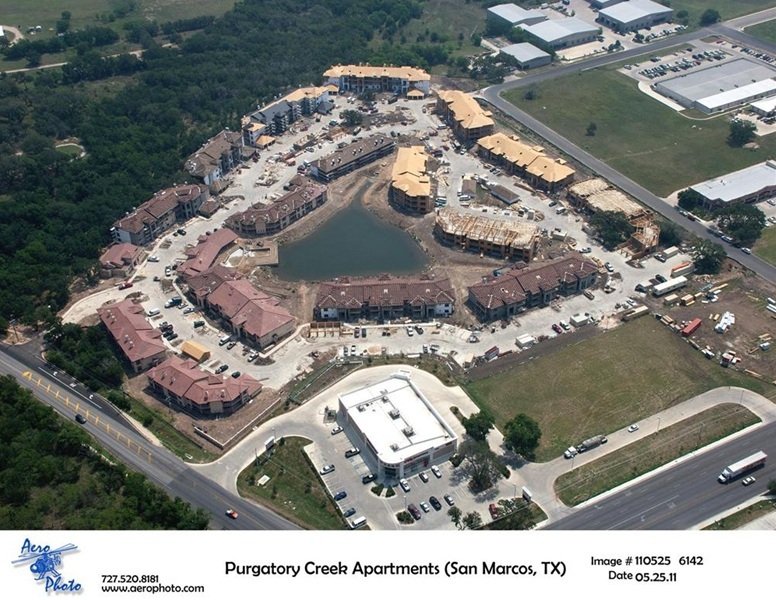 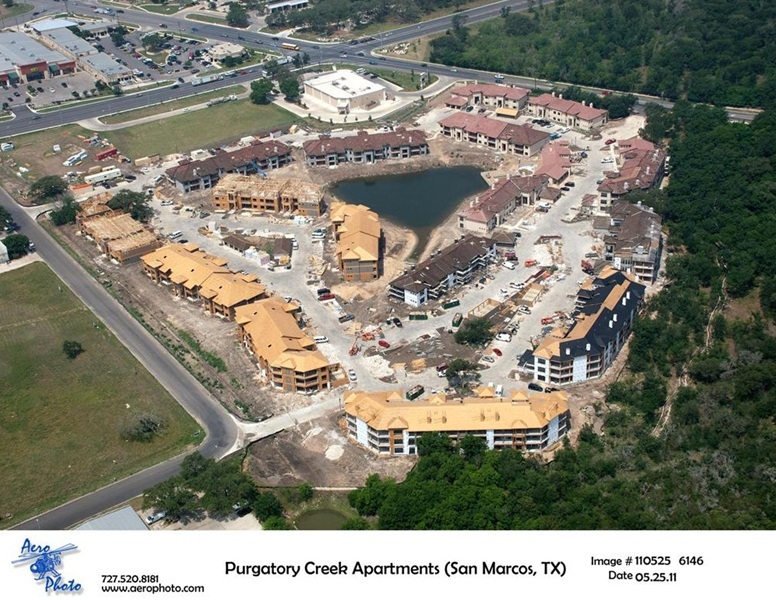 The Purgatory Creek Apartements are located along the heavily-wooded Purgatory Creek in San Marcos, Texas. 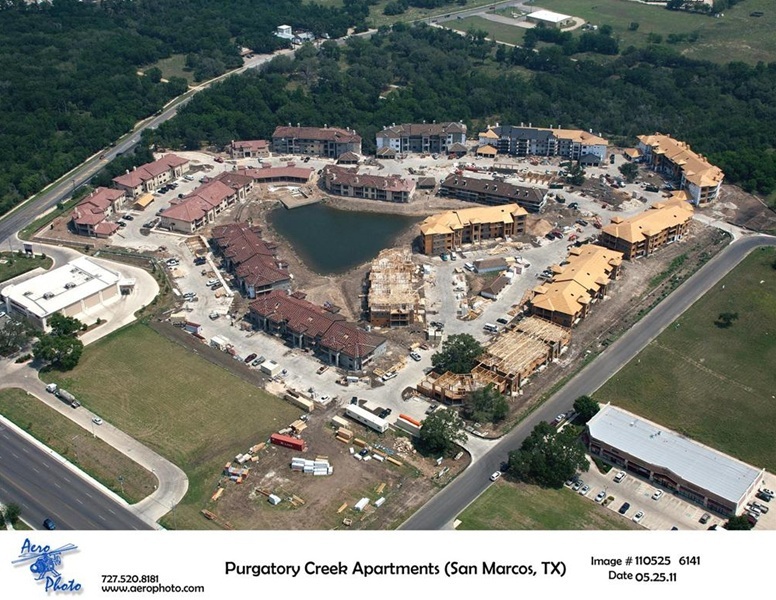 In addition to spectacular resort amenities, the interiors are built and designed to condominium specifications with stunning detail and upgraded finishes. 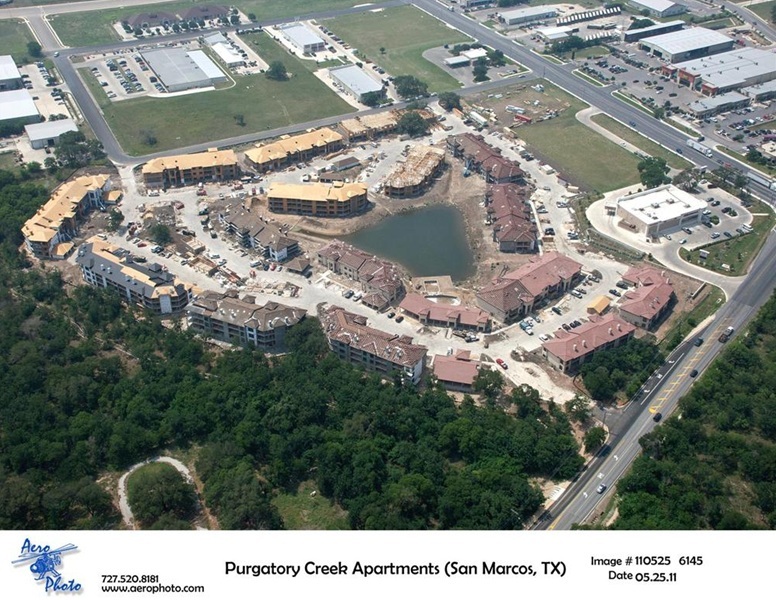 This multifamily construction project was built by Larry Peel Company, and supplied lumber package by Matheus Lumber of Texas.